Coming to a City Near YOU! 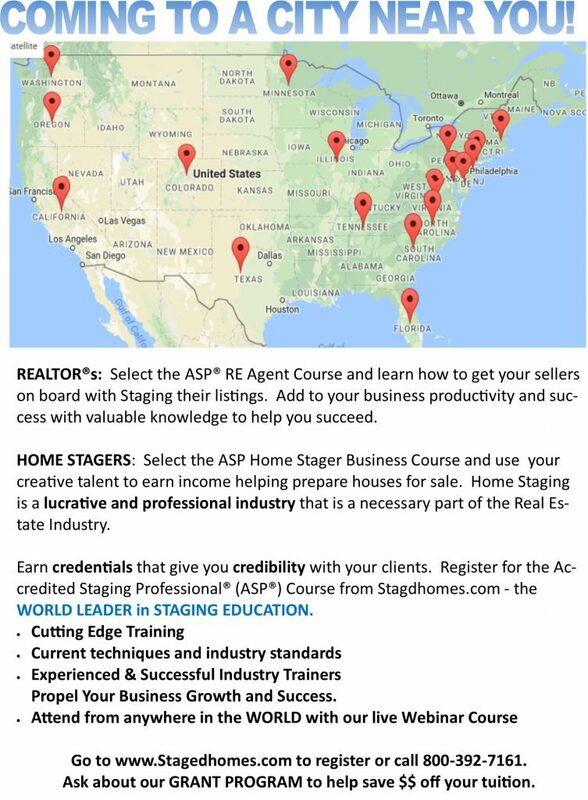 Home Staging Training Courses for Stagers and REALTORs! Go to www.Stagedhomes.com to register or call 800-392-7161 to find out more about our award-winning courses!